Faces and voices of 300 various Japanese captured by one portrait photographer. at the Gallery of the Consulate General of Japan, 18th Floor. NIPPON-JIN (meaning “Japanese”), on view at the gallery of the Consulate General of Japan (299 Park Avenue, 18th floor, New York, NY 10171) February 1 – February 15, 2013, will show more than 300 unique portrait photographs taken by Junichi Takahashi. This exhibition, presented by J-COLLABO, a unique social network that promotes the Japanese art scene with various collaborating artists, reveals what Takahashi sees as “Japanese people,” opposed to the prototype of stereotypical “Japanese” that others expect and portray. To capture the essence of what makes Japanese “Japanese”, Takahashi decided to approach this project by taking hundreds of samples over a four-year period of Japanese being themselves, letting the accumulation of the subject matter form the answer. Takahashi has also been working hard as a founder of Backup Center Japan, a non-profitable organization started by him one month after the earthquake and tsunami disaster on March 11th, 2011. Since then, he has repeatedly visited affected areas, such as Miyagi and Iwate prefectures, coordinating various art related events for victims. NIPPON-JIN was made into a photo book (published by A-Works, Inc. 1,800 yen, excluding tax) and has been widely distributed to bookstores throughout Japan (also, available on www.amazon.co.jp). Thirty-three percent of the sales of his books will benefit Backup Center Japan so he and his friends can keep up their supportive activities. (For more information on BCJ, please refer to their HP@ www.backup-japan.org). 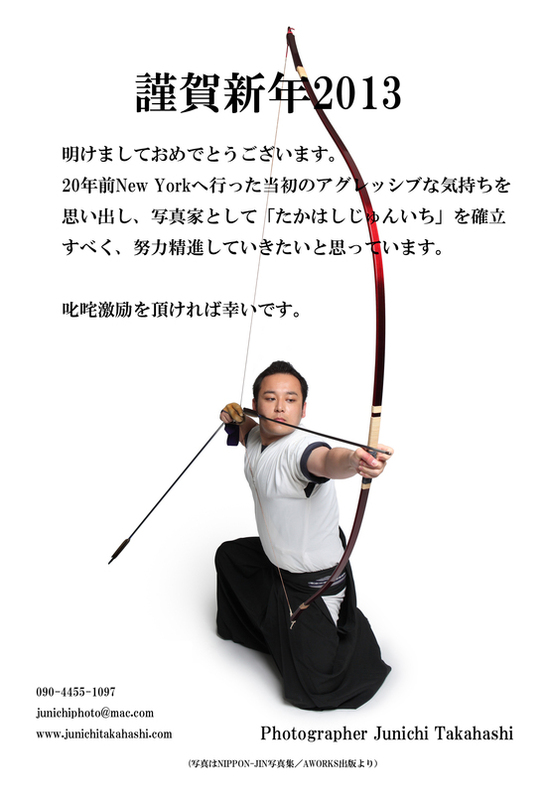 New York City, his hometown of 20 years, Takahashi is honored to release his latest photography NIPPON-JIN series. The new year which pays a visit cold season comes, and every day passes in the twinkling of an eye. I have substituted formal worship for local quantity Takahara Fudouson with the family and the Musashi Ontake shrine with work friends the first visit in the year to a shrine and the other day. the heart -- "work" will be faced and I will newly challenge a "photograph." Jan 14th Tokyo is heavy snow just then... I was photographing the campaign poster first time. 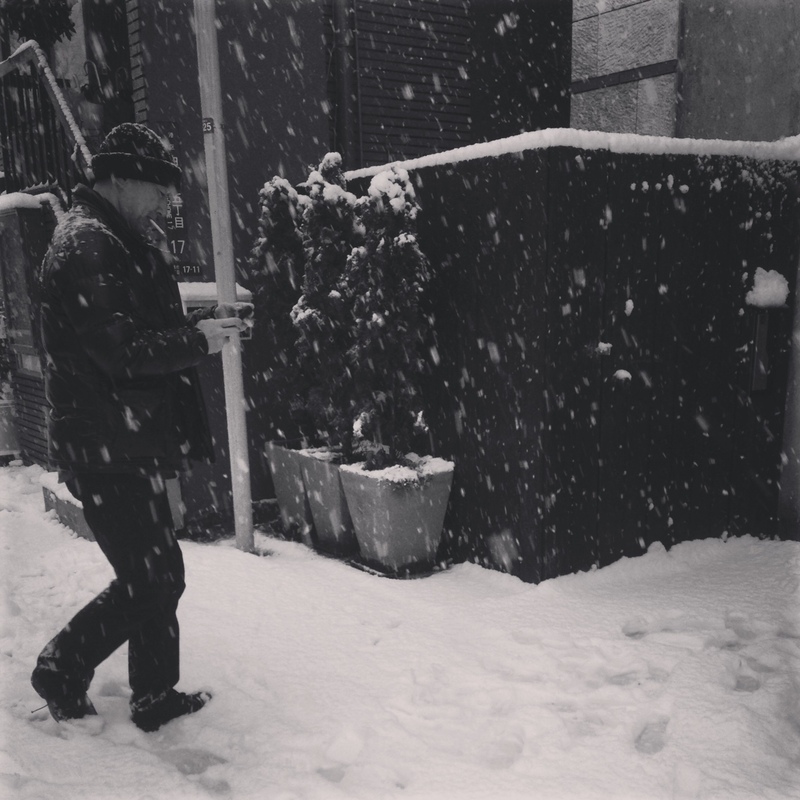 snow which is surprised if it comes out of a studio -- the photography which expresses "sincerity" and "tenderness" in atmosphere where it is warm the inside of ..., however a studio. The importance of a campaign poster, difficulty. And a creative possibility was felt. Beginning of the year regarded as a photographic subject being faced at photography with it being sincere in real intention off course! I will not change 2013 but please give me strong encouragement!